In the first peer-reviewed published report of its kind, University of Toronto researchers have demonstrated that focused ultrasound can be used to safely open the blood-brain barrier (BBB) in patients with Alzheimer's disease. The study, "Blood-brain barrier opening in Alzheimer's disease using MR-guided focused ultrasound," was published recently in Nature Communications. "This is a critical first step," says lead author Nir Lipsman, an assistant professor in the department of surgery and director of the Harquail Centre for Neuromodulation at Sunnybrook Health Sciences Centre. "By successfully, safely and reversibly opening the blood-brain barrier in patients with early-to-moderate Alzheimer's disease, we can support the continued investigation of focused ultrasound as a potential novel treatment, and further study the delivery of therapies that otherwise cannot access the brain." The BBB surrounds the small blood vessels of the brain to protect it from toxins and infectious agents. It also prevents drug therapies from entering, which could be effective in treating disease. 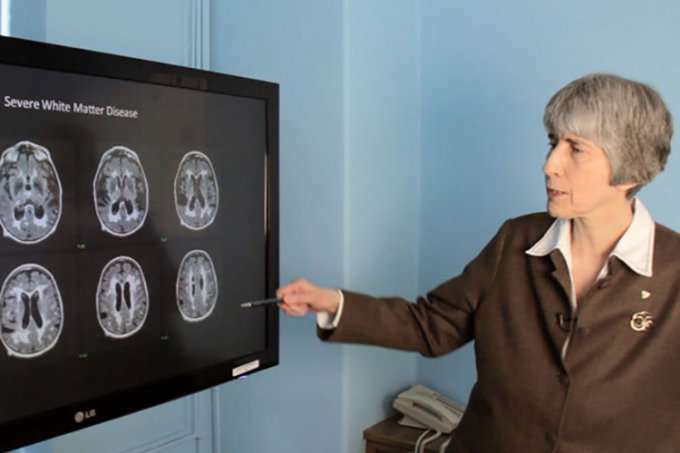 In this Phase 1 trial, the focused ultrasound technology used low frequency ultrasound waves to non-invasively open the BBB in a small area of the frontal lobe in patients with mild-stage Alzheimer's disease. No drug therapies were administered as the trial investigated safety and feasibility. large molecules such as antibodies or even stem cells directly to the brain to help patients with Alzheimer's," says Professor Sandra Black, co-principal investigator and internationally renowned professor of neurology at U of T and Sunnybrook. "We are pioneering exciting potential innovative treatment options for patients." In 2015, Sunnybrook researchers safely opened the BBB to test the delivery of chemotherapy directly to a patient's brain tumour. This recent study is the first peer-reviewed, published report showing the safety and feasibility of breaching the BBB in patients with Alzheimer's. Kullervo Hynynen, a professor of medical biophysics and director of physical sciences at Sunnybrook Research Institute, worked with INSIGHTEC, a global medical technology innovator of incisionless surgery, for almost two decades to develop the technology. Alzheimer's is the most common neurodegenerative disorder, which over time robs people of memory and thinking ability. Over 6.4 million people in North America and at least 44 million people worldwide are living with Alzheimer's or another dementia. Phase two of the study will begin this fall.